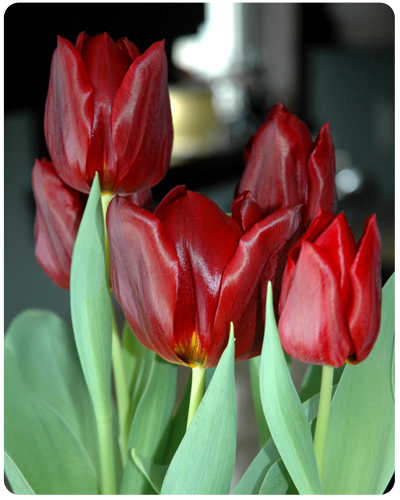 Red tulips are so amazing! My grandmother has all different colors of tulips growing and I always remember the hue of the red and the dark purple the most! I love tulips. Fresh flowers make me smile in general! I hear you Leslie. Fresh flowers are awesome...especially in the dead of winter.